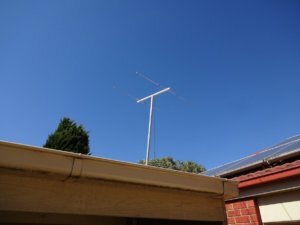 After rebuilding the 2 meter Yagi I use for talking to the VK3REC repeater I managed to take some pictures. 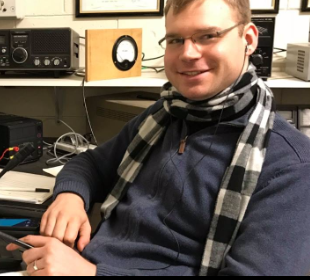 A good article for the bulletin and of interest to anyone who has marginal or none reception into the repeater . 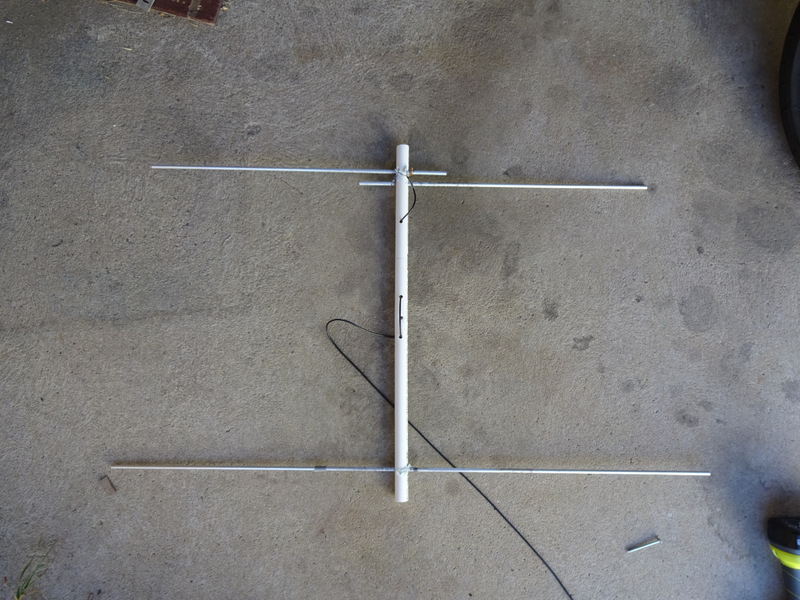 The antenna is of the “two element Yagi-Uda” type and is essentially a half-wave dipole with a reflector. It can be constructed extremely cheaply. 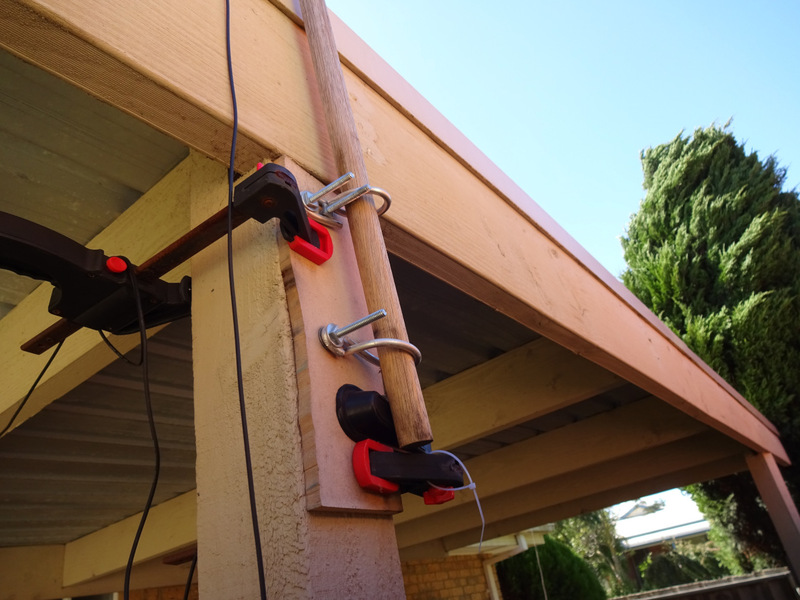 It probably cost me about AU$20, but could have been done much cheaper as the solid aluminium rods and high-pressure pvc gas pipe I use are total overkill. Wire from metal coat hangers for the elements and electrical conduit, or a wooden stick, would probably achieve an equal result. This antenna gets me from having marginal reception into the repeater with either the stubby antenna or a Nagoya antenna, to getting “full quieting” every time from any 5W handheld. No matching or tuning required. – Drill three holes through the PVC pipe / conduit: 20mm distance between the first two holes, 480mm from the second to the third hole. If you have a drill press and vise that allows you to drill the holes precisely parallel, make them the exact size you need for your rods to pass through. If you’re eye-balling it, you may want to drill them undersized and then open them up as needed so you can get your rods parallel. 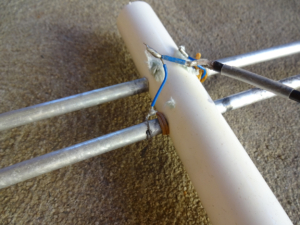 – Drill a hole through the middle of the PCB pipe perpendicular to the holes for the antenna elements. This hole is for mounting the antenna to your mast (broomstick). – Cut your rods to size with the hacksaw. Nothing much needs to be said here other than to take care when cutting the rod for the active elements as a mistake when measuring may mean you won’t be able to get both active elements out of one rod. – Prepare a method for attaching the feedline to the antenna elements.I simply drilled small holes through the rods to feed some solid-core wire through and wrap and twist it around the rod. A more sophisticated method would be to drill a series of holes or mill slots into the rods that allow a banana plug terminal to be inserted and moved back and forth for tuning. – Stick the rods through the holes and line everything up. If you’ve drilled the holes oversize and/or didn’t get the holes to line up exactly, find something to shim up the elements. E.g. attaching tape to one side of the rod, or some toothpicks. I used rubber bands to pull the elements in the right direction. Glue everything in place with some superglue. – Create some strain relief for the feedline. I simply drilled some additional holes in the PVC pipe to thread the feedline through. – Connect your feedline inner and outer conductors to the attachment points on your active elements. I soldered on some more solid core wire and then crimped this to the feedline using terminal crimps. Something more robust would probably be advised for more than 10W transmit power! – Drill a hole through the end of your broomstick that is the right size as a pilot hole for your wood screw. Without this pilot hole, the screw will almost certainly split the broomstick! – Screw the pvc pipe onto the broomstick. 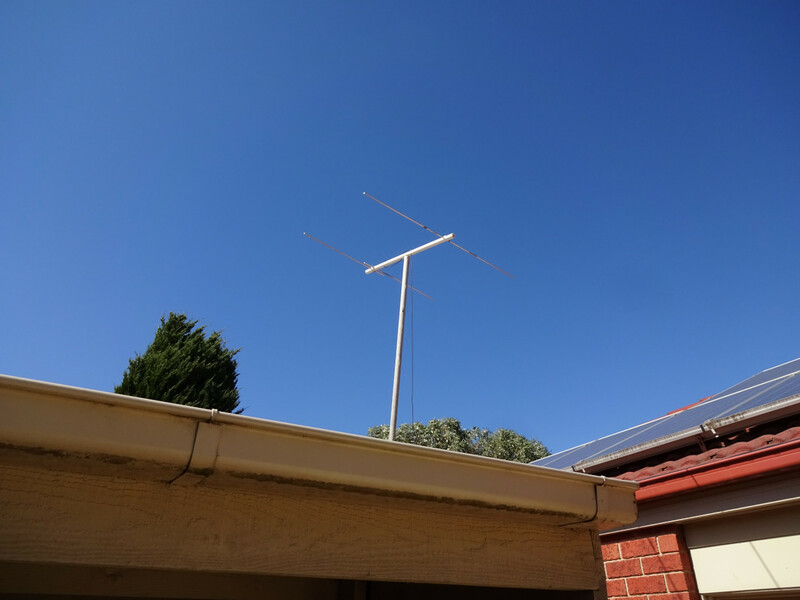 You now have a Yagi antenna that should have considerable directional gain and let you talk on any local two-meter repeater if you can aim for it and elevate the antenna to some degree. I have my antenna 1.5m above a sheet metal car port roof, for a total elevation of around 4 or 5 meters. Photos – Permission is given to use these images in any fashion for the purpose of promoting the EMDRC or promoting the amateur radio hobby, with image credit given to “Luke VK3UKW”. Good work Luke. Regards Ed.